Chances are the Wilmington Republican, whose constituents are right to be worried about the Delaware-based chemical company’s discharges into the Cape Fear River, is asking the same questions today as pressure mounts on Chemours practically everywhere outside of the North Carolina General Assembly. Imagine the frustration for Davis’ upstream neighbors in Bladen County, where more than 200 households rely on bottled water provided by Chemours as scientists, policymakers and business interests sort through the mess the company created with its irresponsible release of GenX and other unregulated pollutants. Attorneys for the Southern Environmental Law Center (SELC) asked a Wilmington court last week to halt all emissions of these so-called “emerging contaminants” from the company, which halted GenX discharges in its wastewater last year. But even now—after a cavalcade of state warnings and fines, lawsuits and public admonishments—Chemours spews the chemical from a Fayetteville stack that may be contaminating the rainwater and soil for thousands. To their slight credit, Chemours bowed to public pressure in plotting $100 million in plant upgrades, a move they say will cut off all of the discharges in two years. But SELC, and the environmentalists they represent, the Cape Fear River Watch, are asking North Carolina regulators to treat GenX and other contaminants as a health emergency that requires immediate action, a justified request. The chemicals’ health effects are largely unknown, but no state should play the game of Russian roulette that North Carolina lawmakers seem willing to play today to spare the inconvenience for a billion-dollar global company like Chemours, which maintains that GenX and other contaminants aren’t harmful. Such assurances from Chemours should be met with great skepticism. The DuPont spin-off—which creates products used in Teflon, firefighting foam, and food packaging—deployed GenX as a replacement for PFOA or C8, a chemical compound and known carcinogen. Chemours and DuPont each spent more than $335 million last year to settle lawsuits in Ohio and Virginia over PFOA exposure, while never admitting a mistake. And while study is needed to determine how precisely its replacement, GenX, impacts people, the early signs are troubling, no matter the naysaying and obfuscations of state lawmakers like Rep. Jimmy Dixon who’ve long ago traded in their credibility on such issues. A UNC-Wilmington study this year found high concentrations of GenX lethal to a quarter of those oysters tested, and researchers from N.C. State and the state Department of Health and Human Services say they will test blood and urine samples from Chemours’ neighbors for traces of the contaminants. If North Carolinians are to trust anything here, they should trust the scientific process, not the political process. 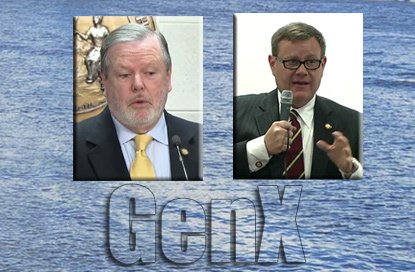 State lawmakers, particularly those who lead the Senate, vacillate between reluctant to act and downright obstructionist on GenX, even months after reporters in Wilmington exposed Chemours’ pollution in the Cape Fear River, a drinking water source for more than 200,000 people. By no means is this the first time that the legislature or state regulators sided with business interests at great cost to this state’s residents. This year, lawmakers authored scandalous protections for big hog farmers that all but quash future “nuisance” lawsuits filed by neighbors weary of the pig feces and carcasses produced by the state’s powerful pork giants. And time has not brightened lawmakers’ and environmental regulators’ calamitous reaction to a massive coal ash spill in 2014, in which they repeatedly extended friendly deadlines and feeble fines to the powers-that-be at Duke Energy, whose limitless lobbying capacity apparently overruled the righteous anger of North Carolina residents. The state’s fines, paltry in comparison to Duke’s billion-dollar profits, couldn’t even be considered a slap on the wrist. They were a lullaby to those who deserve to lose some sleep. At the time, ex-Gov. Pat McCrory’s appointees piloted the state’s chief environmental agency, but environmentalists have been hoping, and mostly receiving, more force from Gov. Roy Cooper’s administration. North Carolinians are sick and tired—literally and in all the ways that one might imagine—of bad actors in the business and industrial community, and the policymakers who coddle business interests while confounding the people they represent. None of this should be necessary. None of this is acceptable. 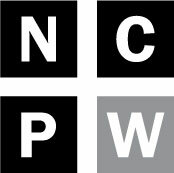 State leaders should assure us, once and for all, that the safety of North Carolinians will not come second to a company’s business interests, be it a chemical company, a hog slaughtering operation or an energy giant whose reach stretches across the globe. What value, after all, is a job to residents whose health is at stake? “We’re scaring the pudding out of people,” Rep. Dixon complained to GenX researchers in April. That may be, but here’s hoping North Carolina lawmakers like Dixon can scare up a bit of concern too.